A vocation is, like all graces, divinely initiated and totally unmerited. But as incarnate beings, vocations come to women and men in particular circumstances. The call to priesthood for me was mediated through family and parish. At the same time, the wider Catholic culture also nurtured my interest in a vocation. Educated in the Baltimore Catechism during the reign of Pius XII, I was in 8th grade when the Second Vatican Council really got going, and when President Kennedy was shot—two events which marked transitions in the traditional Catholic culture of our country, from a “Going My Way” sensibility (already quite absent in my own experience) to the more confused and challenging American sensibility of the 1960’s. 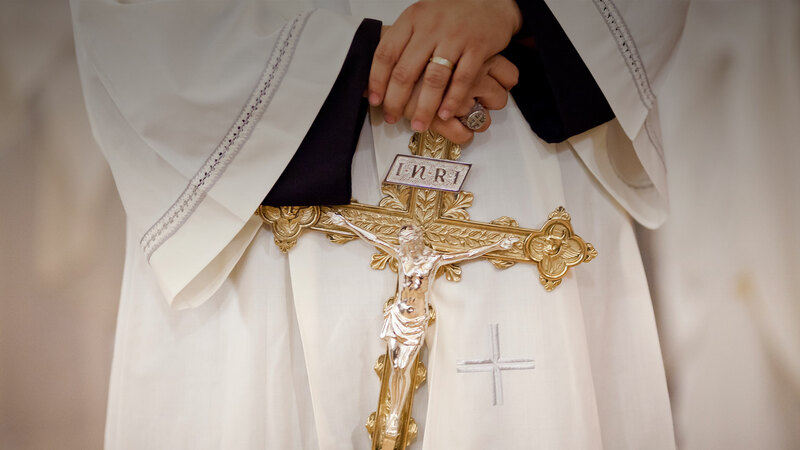 I believe that my sense of being a Catholic helped to guide me away from some of the more destructive choices made by many of my contemporaries in those years and toward the conscious embrace of the Catholic faith, and within that a priestly vocation. Where did that “Catholic sense” come from? Certainly through the regular practice of the faith; from my parents; certainly through the contact with our parish priests through altar serving and CYO. But the catalyst for all these other influences was the influence of the Dominican Sisters of Amityville who taught in our parish school. In addition to managing classrooms of at least 50 students every year from first to eighth grade, they taught the academic subjects superbly. But mostly I remember their religious teachings: I remember Sister Michael Therese teaching us in the 7th grade about Aristotle’s “Great Chain of Being”, Sister Theodora teaching us that evolution and divine creation were quite compatible, Sister Martin Marie teaching us about the need for frequent communion, Sister Timothy Marie teaching us about the dangers of atheistic communism, Sister Fleurette giving us rhymed couplets for making the Stations of the Cross— and many of those nuns, I discovered later, were still in their 20’s at that time! And it was Sister Isabel, the principal, who encouraged me to follow through with applying to the prep seminary. These nuns were the greatest, in my book. The high school seminary was a great four years for me, because it gave me a sense of a vocation community that was important. We also had excellent teachers (almost all priests in those days), who set a very high standard and really set faith in the proper academic context. The college and major seminaries each in their own way also provided a structure and culture for reflection that helped me deepen my response to the call. In looking back, I can only be profoundly grateful for the many sacrifices made by the priests who were my formators throughout those years. In an odd way, I think coming of age during the turbulent sixties strengthened my vocation. To see so many around me making destructive choices forced me, and many others, to reflect more deeply on what was truly essential, valuable and long-lasting in life. For some that led to an embrace of the Catholic faith in marriage or as committed laypeople. In my case, that reflection gave me the opportunity to hear God’s call with less distraction. As in every vocation story, mine had its own particular characters, episodes, and perhaps even a few detours. But ultimately what won out for me was my sense that life’s meaning requires each of us to live up to the image of God within us. I was especially helped in coming to this awareness by the writings of C. S. Lewis and G. K. Chesterton. Both these writers communicated to me a sense that the world in all its fallen beauty needs to be experienced as a place of both grace and danger, and that only with help from the Source of all Goodness can we avoid falling prey to the Evil around us. It became clear to me that therefore the role of priest was essential, and eventually that I might be called to that role, if the Church would have me. I believe that grace led me to the priesthood. Every day that I work and live in this puzzling, exhausting and exhilarating calling, I am profoundly grateful that it did. Msgr. Sean G. Ogle ’77 is the Pastor of Our Lady of Mount Carmel Parish, Astoria.